Unless you’ve been living under a rock this past year, you are probably aware that Pinterest is a very hot topic among bloggers and small business owners. 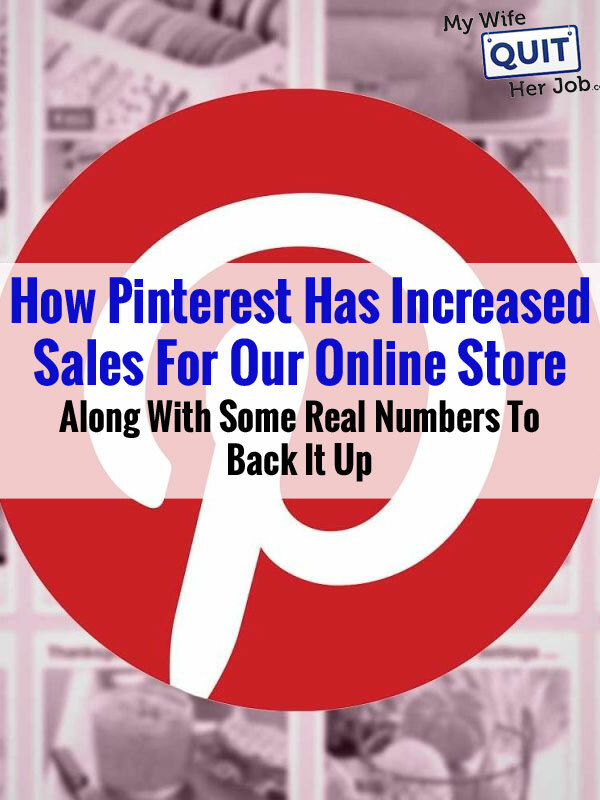 Not only has Pinterest’s user base been growing at an exponential rate but more and more businesses are discovering how to make money on Pinterest. In fact, I’ve probably read over 80 Pinterest articles in the past 2 months alone. And of those 80, I’d say that a good 50 of those articles have been “free” tutorials and guides on how to use Pinterest to market your business. One of the problems with reading and digesting all of this information is that after a while, every article starts to sound the same. And what bugs me is that very few of these posts provide any real life case studies of how Pinterest has affected their businesses. Is everyone just jumping on the Pinterest bandwagon just because it’s a trending topic? In fact, I don’t believe that any Pinterest guide that I’ve read thus far has actually provided any numbers to back up their claims. So is all of this Pinterest hype warranted? My wife and I decided to run some experiments using Pinterest to market our online store and I have some real numbers to share with you today. The good news is that Pinterest is the real deal and anyone who has an online store should probably invest some amount of time with the tool. First off, I just want to say that I was absolutely shocked to find out that within just a few months, Pinterest has already cracked the top 10 traffic sources for our online store. Below is a Google Analytics report that shows some metrics for Pinterest. Note: This is just one months worth of data. As you can see in the table above, Pinterest is sitting nicely as my 7th highest traffic source. The results are somewhat misleading however since our store just recently got linked to by baby.about.com which sent us an unusual surge of traffic. In reality, PInterest should be sitting at #6. What has really surprised me has been the bounce rate and the average time on site. You would think that people clicking on pretty pictures online would have a very short attention span. But the numbers seem to indicate that a good number of Pinterest visitors actually stop to look around. I was actually expecting to see bounce rates in the 80’s or 90’s and a much shorter visit duration. Overall, the boost in Pinterest visitors has caused our traffic numbers to be the highest they have ever been which can’t be a bad thing. Do Pinterest Visitors Buy Anything? So getting extra traffic and awareness for your company is all fine and good but do these people actually buy anything? Surprisingly, the answer is yes. Most of the pins we have on Pinterest are for our content pages and not our actual products so I was shocked to learn that a decent number of people actually are in the buying mood after clicking on a Pinterest pin. Here are some of our conversion numbers for last month organized by revenue. As you can see above, Pinterest visitors are actually converting at a little over 1%. This isn’t bad at all, especially since Pinterest is a completely free traffic source that tends to grow virally on its own. The per visit value is kind of on the low end at 51 cents per visitor but if you think about it, making 51 cents per visitor isn’t too shabby when you aren’t expecting anything at all. Remember, this table is sorted by revenue which means that PInterest has already cracked the top ten in terms of earnings. Pinterest traffic has even managed to overtake Facebook in just a short period of time! After playing around with Pinterest for the past several months, my wife and I have discovered that the better looking or more informative your pictures are, the more likely that people will repin your stuff. Duh! So here are a few things that we’ve done to help encourage repins. First off, we’ve added “Pin It” buttons to all of our products and all of our content pages. This is important because not everyone will have the toolbar installed. You want to make it as easy as possible for people to share your pictures. Second, we started pinning more intricate versions of our existing photos. Here’s an example of exactly what we mean by “intricate”. On our online store, we provide free arts and crafts tutorials that utilize our products as the raw materials. In other words, we use the content on our online store to educate the customer about cool projects that can be made with our products. But instead of pinning a single picture of the final result of a craft project, my wife had a great idea to try and pin the entire tutorial within a single picture that could be posted online. 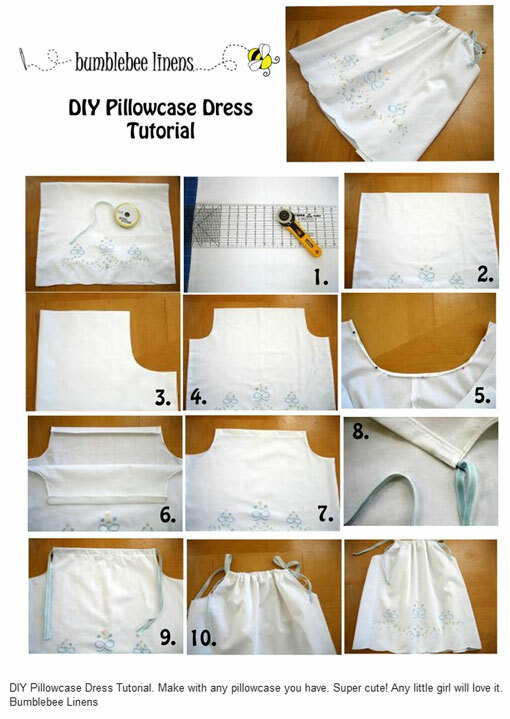 Here’s is an example of our Pillowcase Dress craft that has received a large amount of repins and Facebook likes as a result of this photo. Posting our craft photo this way serves a couple purposes. For one thing, arranging a group of photos this way in a tutorial really makes the photo stand out on a Pinterest board. Because it’s made up of multiple pictures, the resulting shot is really long and narrow which takes up more board space. The second benefit is that the photo actually conveys information to the viewer which entices him/her to actually click on the photo itself. In any case, this article is not meant to be a Pinterest tutorial. After all you can find a million of those types of articles online. The key point here is that Pinterest is actually an excellent form of social media traffic that actually converts at a decent percentage. So if you have an online store, you should at a minimum place a Pinterest “pin it” button on every page of your site. It’s really simple to do! Follow Our Store On Pinterest! So this article made me really curious about Pinterest. How much traffic are you getting and are you doing anything special to get this traffic? Can you post a guide on exactly what you are doing on pinterest to get people to click on to your store? I know there are many guides out there already but I want to hear it from you. Nice job Steve! Amazing what Pinterest is doing. I’m also amazed by how much time people have with new social networking sites. Makes me bullish! We’ve been playing around with Pinterest the last few months and it’s been worthwhile. Granted, we’ve had almost zero game plan with our pins and it’s definitely hit or miss, but like you said, it’s free. I’m still having a hard time decididing if Pinterest is here to stay and we should really begin to invest time in it, or if it’s just another flash-in-the-pan and we should just enjoy the ride and continue to focus on our other channels. Probably do a mix of both. I think Pinterest is here to stay but you’re right, things can change very fast. My wife is actually quite addicted to the service at this point so she pins not for the business but for her own pleasure. I just started using Pinterest for my business website. When I get done with a blog post that has a picture of a new product on it, I share the post on facebook, twitter, and now Pinterest too. It only takes me a few extra seconds to “pin it” and I’m already seeing traffic to my site from Pinterest. Pretty amazing isn’t it? Kind of reminds me when I launched my first Ebay auction and was shocked to find 20 or so people bidding on my item. It’s also a great way to see what your customers really like or what’s popular in the market. If you see one of your items immediately repinned by 50 people then you can make sure that item is prominently located on your website for people to buy. You can also start selling similar items or coordinating items for that one “popular item”. It’s great feedback to the business, direct from the customers! pinterest is the future of the web. thank you for you post. Good post. While the numbers are the lowest of all traffic sources pinterest is easily the fastest and simplest social media to keep updated so its definately worth doing. Your stats for CPC were pretty good but how did it work out regarding ROI and any reason why no marketing on YouTube?